This Roundtable Discussion was co-hosted with the Institute for Security Studies (ISS). 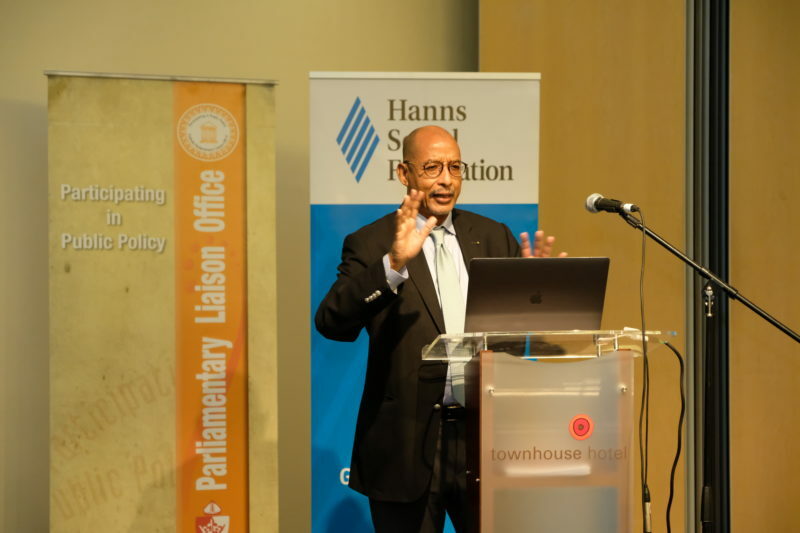 The head of the ISS project on African Futures and Innovation, Dr Jakkie Cilliers, was the main speaker, and the respondent was Dr Ibrahim Assane Mayaki, Chief Executive Officer of the New Partnership for Africa’s Development (NEPAD). 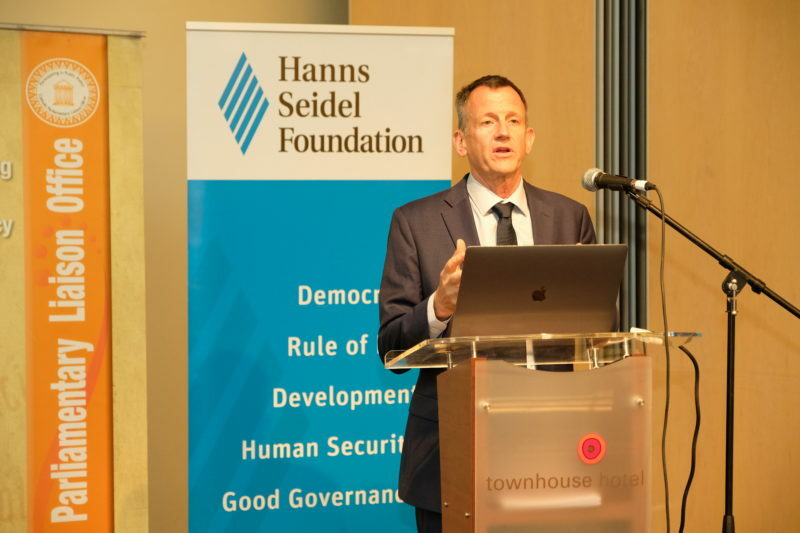 Dr Cilliers presented a synthesis of a number of recent publications on Africa’s current development pathway and the potential impact of key transitions in demographics, industrialization and stability on various indices such as levels of poverty, population size and income, with a time horizon to 2030 and 2040. The two main themes were the need for Africa to increase the size of its manufacturing sector, and the need to bring down its rate of population growth. Manufacturing would not of itself create all the jobs that Africa needs – and would not be sufficient to supply the necessary economic growth – but a vibrant manufacturing section was crucial to allow an economy to make the transition from reliance on primary sectors such as agriculture and mining, to tertiary sectors such as finance, services, and IT. In this regard there were some encouraging opportunities, especially with the possibility of import replacement industries specialising in household goods, electrical appliances and light industry in general. However, even high rates of economic growth, in the region of 5% – 7%, would not be sufficient to lift average incomes on the continent if population growth rates remained at their present very high levels. Much more needed to be done to reduce the rate of growth and thereby reach the ‘demographic dividend’ – the point where the median age was between 24 and 41. At present, Africa was just below this point, and should reach it within two or three decades. Then, the population pyramid would be more evenly defined, with a narrower base of the under-18 cohort and a wider mid-section of the economically active age groups. Dr Mayaki was broadly in agreement with Dr Cilliers’ analysis. He pointed out that, in order to achieve prosperity, strong political institutions were vital. At independence 50 years ago, Botswana and the Central African Republic has similar average per capita incomes; now, Botswana’s was 40 times greater, while the CAR’s had halved. Where economic policy was concerned, a number of innovations were required: designated industrial zones, possibly enjoying tax and other incentives; improved conditions for intra-African trade; corridors of industrialisation linking land-locked nations with ports; and better regional integration. Education, or the development of ‘human capital’, was vital, and government needed to invest more in this sector. Education was also, in his view, at the heart of efforts to reduce population growth. It was more than just a matter of ‘condoms and pills’ – in Niger, for example, at age 15 half of all girls were already married. Such cultural practices needed to be addressed, and women needed to be empowered in various ways to allow them to assume control over their fertility.